Wildlife abounds on Kangaroo Island. The ocean is teaming with fish, sea lions and little penguin colonies. The island is a zoo without fences, with rare bird life, wallabies, echidnas and plenty of kangaroos and koalas. SeaLink Ferry Board the ferry to Kangaroo Island. Cape Willoughby Enjoy a guided tour of Cape Willoughby. Take in the beautiful ocean backdrop from the top of the lighthouse, hear stories of working and living in the remote environment, and learn about the importance of coastal shipping to early Colonial trading. Prospect Hill Admire the view from the top of Prospect Hill. Atop a long flight of stairs, the view is worth the climb! Afternoon Activities This afternoon we make stops at Clifford's Honey Farm for a guided tour before stopping at Island Pure Sheep Dairy to see a dairy farm and learn about its products. Accommodation Check into the Flinders Chase Farm Accommodation for 4 nights stay. Flinders Chase National Park Enjoy a guided tour at the Cape Borda Light House. Afterwards take a self guided walk along the Clifftop Walk. Enjoy a cannon firing demonstration before visiting the National Park Museum. Kangaroo Island Wildlife Park Interact with Australian Wildlife at the Kangaroo Island Wildlife Park, home to Koalas, Kangaroos, Echidnas and more! Yacca Flat Admire the breathtaking views of Yacca Flat from the Bunker Hill lookout. Flinders Chase National Park Journey along the Heritage Walk and learn about the cultural heritage of your surroundings; from life of the early Settlers at the Rocky River - to our role as an island sanctuary for threatened species. Cape de Couedic Discover the spectacular Remarkable Rocks and Admirals Arch. Kelly Hill Caves Accompanied by a National Parks guide, explore the incredible cave systems and marvel at the limestone formations. Seal Bay Journey into the heart of Seal Bay, where experienced guides will teach you about these endangered animals. A truly exceptional experience, this is not to be missed! Little Sahara Known for its spectacular white sand-dunes, Little Sahara offers the opportunity for tobogganing down it's incredible dunes. Penneshaw Journey to Penneshaw where you will board the ferry back to Cape Jervis. Victor Harbor After lunch, enjoy a self guided walk around Victor Harbor before you begin your journey home. 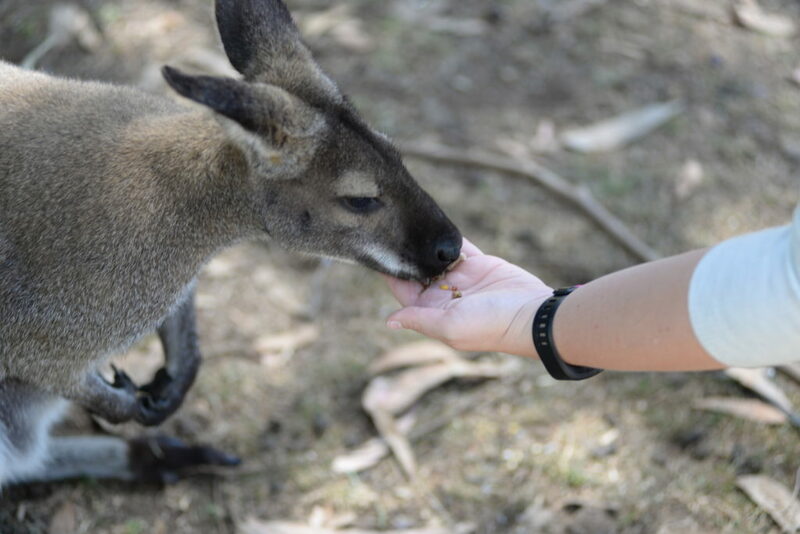 Thank you for your interest in our WorldStrides Australian Essentials Kangaroo Island Tour Tour! Please tell us a little more about yourself so we can get you sent to the right place.